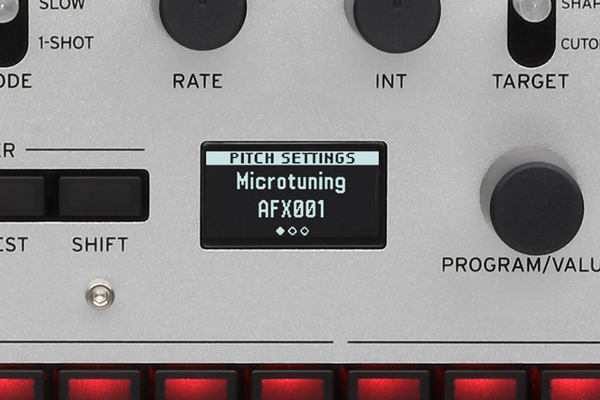 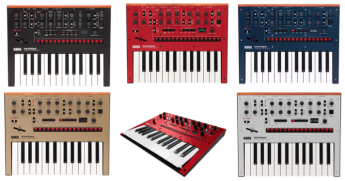 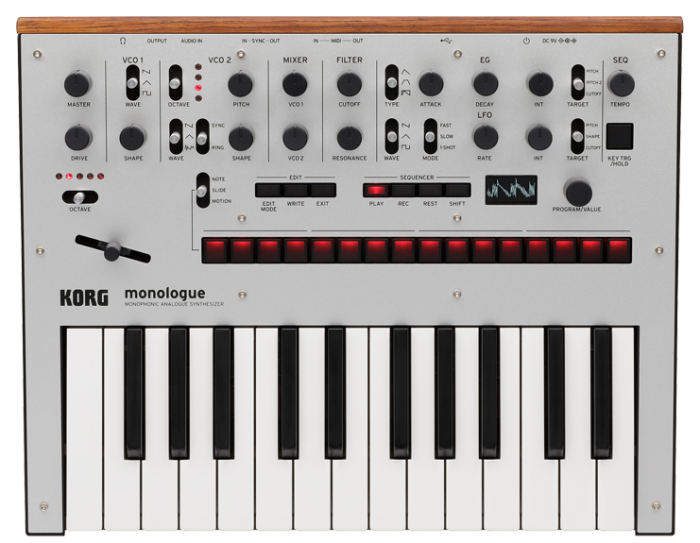 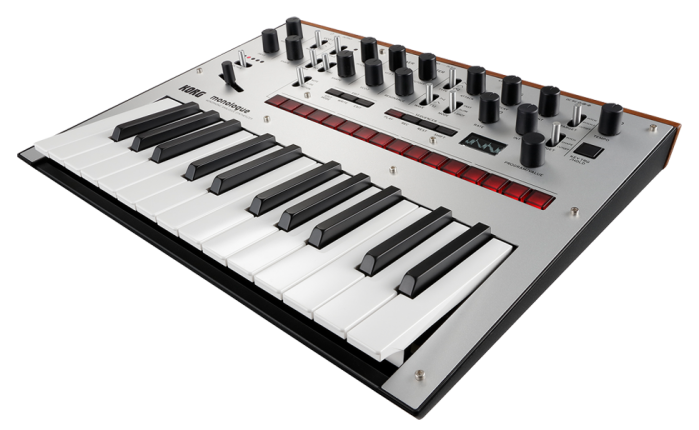 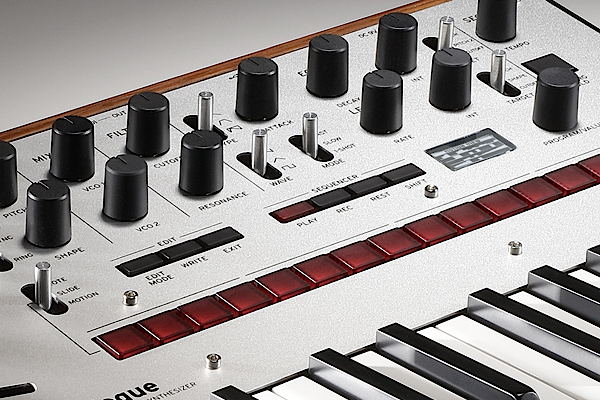 The Monologue is a 25-key, fully programmable monophonic analog synthesizer. Based on Korg’s popular Minilogue, the Monologue offers a solo-voice version with new sounds and sculpting abilities – at an exceptional price. 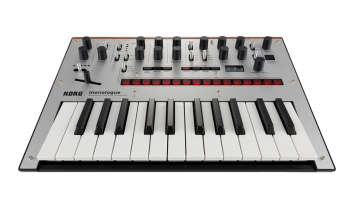 Kong fans will recognize the sleek layout and construction, and the user-friendly knob-per-function design. 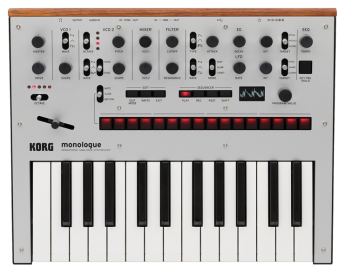 But the Monologue features a completely redesigned envelope section, modulation routing, and a filter with powerful low-end punch. Expect powerful basses and distinctive, cutting leads—proving again that mono sounds can often be some of the best. 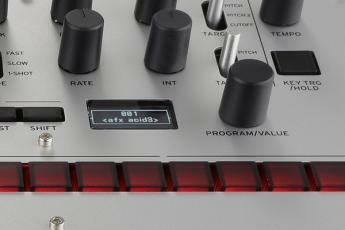 The step sequencer has also been expanded, for more ease and control of editing. 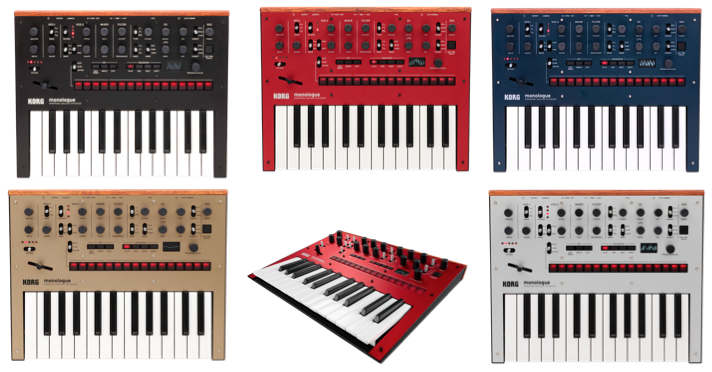 The Monologue comes in 5 colors—we encourage you to call to be sure your choice is in stock.